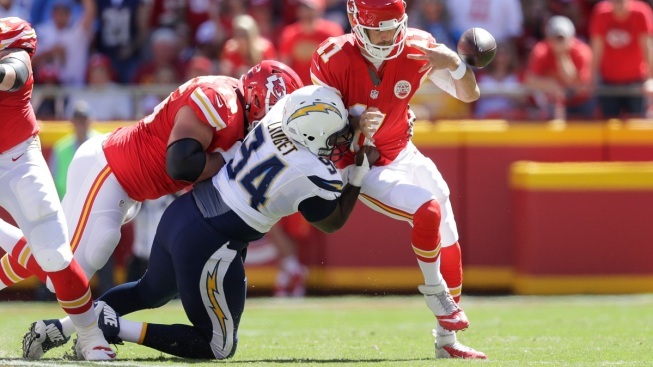 Liuget is eligible to return to the Chargers after their Sept. 30 game against the San Francisco 49ers. Los Angeles Chargers defensive tackle Corey Liuget has sued the trainer who he says is responsible for his four-game suspension for using a performance-enhancing substance. Liuget filed suit against Ian Danney and his Arizona-based business in Los Angeles, asking for a jury trial and no less than $15 million in damages. Liuget says in the suit that Danney injected him with a substance banned by the FDA and the NFL. He also says Danney gave him another product that required a prescription which Liuget did not have. A message left with Danney's office was not returned Tuesday. Liuget, who is in his seventh year in the NFL, said in a statement sent through his attorney that he is filing suit because the suspension has compromised his ability to be a leader in the community and that he wants to set the record straight.